It is currently shoulder season in Spain. Prices are good, and Spain's tour attractions aren’t crowded. Diverse walks in Spain's oldest national park. Incredible wildlife including Chamois, Golden eagles and Griffon vultures. Traditional mountain villages in the valleys of Green Spain. Experience the fiery passion and rhythm of a traditional flamenco dance performance in Seville. It's a pretty special thing to chill out on a beach in Andalusian Spain, knowing North Africa is just across the water Explore the scenic Costa de la Luz, and kick back with some tapas and sangria in Tarifa. The town of Ronda is split in two by a deep rocky chasm. It's easy to be filled up by the architecture, culture and vibrant nightlife of Barcelona, but the food on offer is just as good. The fortified medieval city of Pamplona is a great place to discover on foot. Logrono is bursting with delicious local produce and wine, just waiting to be enjoyed on an included pinxtos crawl. Be treated to a lively flamenco performance in Seville.. Explore the astounding red-clay fortress of the Alhambra..
Visit the Royal Palace with a local guide (this activity could be substituted with the Prado). Flight to the famous island of Ibiza. Enjoy stunning views over the sparkling Mediterranean. Follow traditional footpaths through rugged mountain landscapes. Make the most of the 300 days of sunshine found here on a late getaway. Seville: Get ready for colourful dancers and the rhythmic stomp of flamenco as you experience a fiery evening of Spanish dance and cuisine..
Jabugo: In a small village dotted with chestnut trees and holm oaks, experience the lingering aroma and incomparable taste of pure Jamón Ibérico..
Lisbon: Delight in a taste of the famous Portuguese delicacy, Pastéis de Belém..
Join La Tomatina, the world's biggest food fight. Beautiful roman ruins, Islamic architecture, great civilizations, a delightful history, an alluring culture and an edgy creativity is what defines any trip to Spain. The country’s rich and diverse landscapes always have a way of getting to you. The Pyrenees are as majestic as any other mountain on the continent and are famous as one of the best hiking destinations in Europe. Madrid and Barcelona always present a grand vibe and an incredible experience. The charming coves of the Mediterranean truly make you fall in love with nature and there are always quaint little villages that present an old-world European way of life to choose from. Spaniards are incredibly intimate and like to tell it as it is. Expect to be greeted with a kiss, even by strangers, and it’s not unusual to be interrupted as you speak. When dining out with friends, always opt for some paella. Arguably the most popular dish in Spain, it’s often cheaper to share by increasing the size of your paella than to order a separate meal. If you want to see the inside of the Sagrada Familia, be sure to buy your tickets online before you go. Only a certain number of people are allowed inside each day, and tickets sell out days in advance. 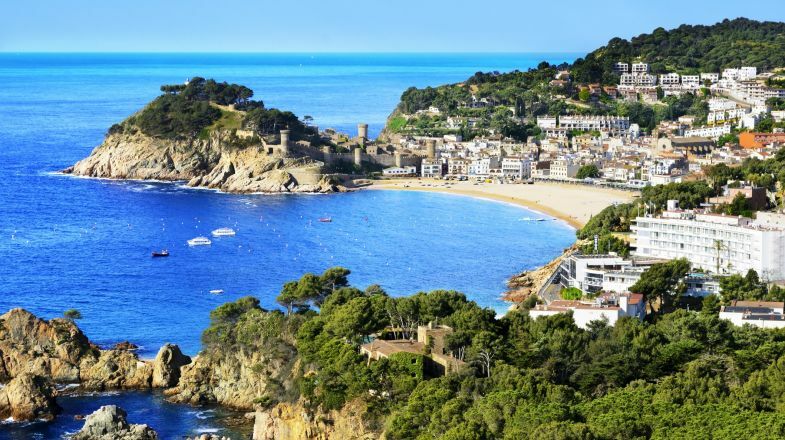 Though there’s plenty to see on Spain’s mainland, its many islands are also worth visiting. Check out Ibiza for some incredible nightlife, Lanzarote for unique volcanic landscapes, or Fuerteventura for surfing. Promptness isn’t exactly a value in Spain. Spaniards tend to be very laid back and arrive late. Spain has seasonal weather so please do check up on the best time to visit Spain before planning your tour. And if you’re still hunting for more things to do and places to explore in Spain, do check out our Spain Travel Guide for more information.